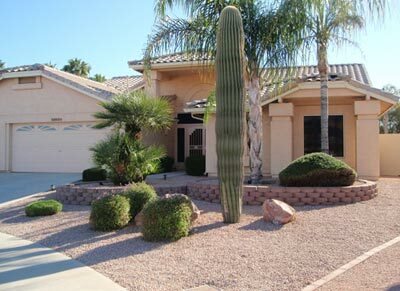 Featured Arizona real estate listings? What makes a listing so special? It's not anything too fancy. Basically a featured listing means that I am representing the seller. I think it is important to let you know that I take my job as a Realtor very seriously. If you are searching on my site but don't have a Realtor I will be happy to show you the home, but I will not represent you if you do decide to make an offer on my client's home. I WILL NOT represent both the seller and the buyer in a real estate transaction. Not all Realtors take the same position I do, but if you read my page about a Realtors fiduciary duty then you will understand why I feel you can't adequately represent both sides of a transaction. Sure getting double the commission on one sale would be nice, but it's just bad karma if you ask me. 2 bedrooms - 2 1/2 baths. Large open kitchen with island and breakfast bar. 3-car garage with a workshop. Located within a retirement community. View photos of this Arizona real estate listing. One more thing... You might have noticed that my web site ranks pretty well in the search engines. That is probably how you stumbled on to this site in the first place. When trying to sell your home, you want the most exposure possible to the most amount of buyers. Did you know that over 90% of home buyers start their search on the internet? We have consistently received over 1,000 visitors per month on our site for years now. There aren't many Realtors that can say they have the same amount of web site traffic.